DRY VERSION - This rock was factory cured, wrapped and then dried or slightly damp. It's ready to be cured or added to a new tank. If you need fully cured biologocially active, see our LIVE VERSION that we take directly from our saltwater pools. SIZES: These pictures are a representation of Real Reef Rock. Rock received will vary in shapes and sizes. By default we provide a mix of sizes. You can special request sizes. SHIPPING: The rock is well packed but shipping companies can be quite rough, so expect some minor breakage. We are not able to replace or refund due to shipping damage, the rock can easily be repaired. If you have major damage please contact us. With the increasing demand and environmental impact of the Live Rock trade, FHI Coral Farms developed REAL REEF in response. 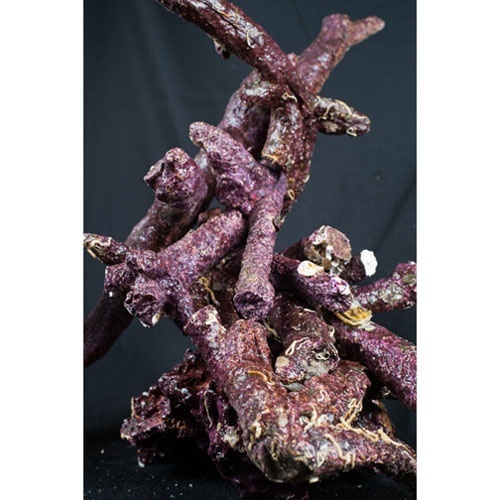 Real Reef is a trademarked patent pending American aquacultured bio-active living reef aquarium rock. 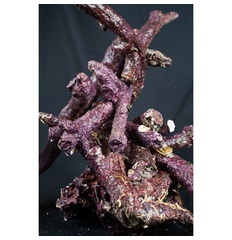 Real Reef is a 100% environmentally friendly Live Rock substitute. It is a clean calcium carbonate rock with great buffering ability, shape, color and everything else you like in a great live reef rock. There is no curing required, as it is packed directly from the FHI farm's grow out tanks and sent directly to you the retailer. Real Reef is put into out multiple 600 gallon pools so it's full with microscopic life! Real Reef looks, feels and aquascapes like real live rock. Most Aquarists think it's better than the real thing! It's time as a hobby and industry we start looking into the future and protect this hobby we all love so much. Try aquascaping with Real Reef today.